Only 1 strategy drives a better brand—making a better direct and indirect client experience in the 9 factors driving brand. This means leveraging strength and intentional branding while minimizing unintentional acts of branding. 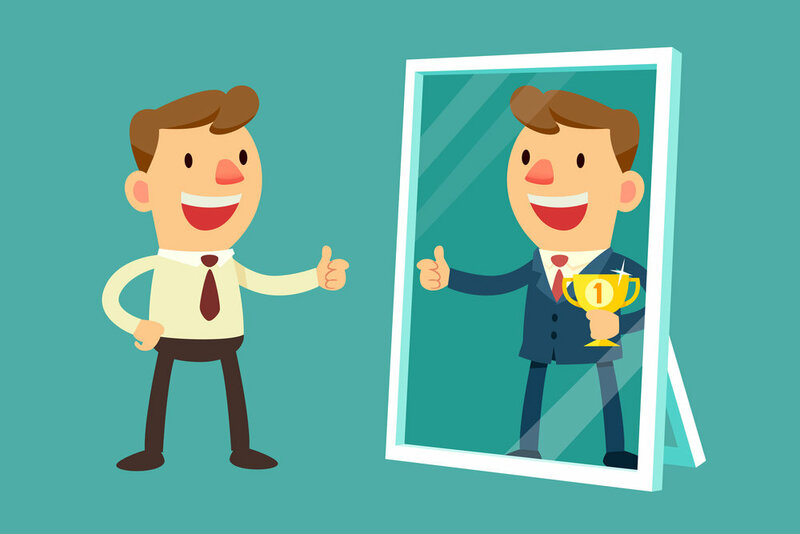 Once law firms reach the BTI Brand Elite 28—it becomes exponentially harder to improve your brand. But 14 firms have figured it out. Each of the firms who manage to move up have different approaches focused on a common goal. They are focused on improving key parts of the client experience which have the most impact. Learn how to earn premium worthy status, and keep it, in the new BTI Brand Elite 2018: Client Perceptions of the Best-Branded Law Firms, available now. Clients pay you more when you bring more. They pay you premiums when you bring insight others don’t. Clients face more complex work and a greater quantity of it—making insights all the more valuable. Clients single out 3 more law firms able to bring this premium insight—increasing the number of premium-worthy law firms by 3% over last year. However, none of the 2018 newcomers made Best of the Best, leaving the number unchanged from last year. Learn more about why legal decision makers think fewer law firms are a sure bet in the new in the new BTI Brand Elite 2018: Client Perceptions of the Best-Branded Law Firms, available now. Clients want to work with the firm who will be around to lead the industry. Top legal decision makers don’t want to work with law firms they think will get merged away or otherwise disappear. This is especially true for litigation which can last years. From a relationship standpoint, clients get concerned about conflicts, changes in command, and loss of institutional knowledge—so they want to work with the long-term leaders, almost as a risk management tool. Learn more about the future market leaders—and how your firm can join them—in the new BTI Brand Elite 2018: Client Perceptions of the Best-Branded Law Firms, available now. Everyone wants to at least be on the short list. 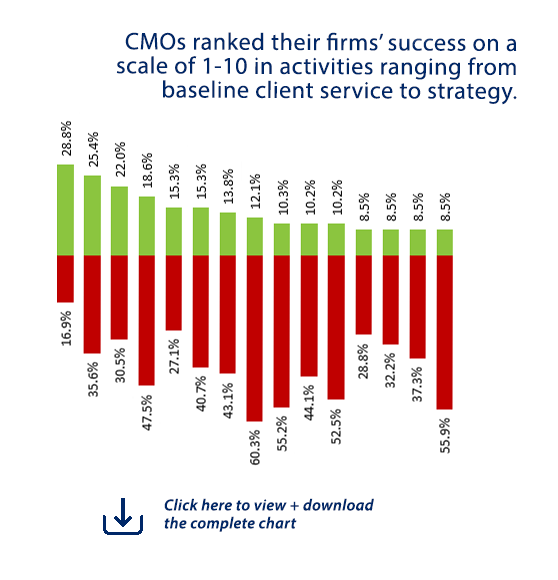 But clients want no part of it—trimming their short lists by 1% this year and 22% over the last 3. Clients indicate they want more knowledge from fewer firms. They have cut their law firm rosters to record lows. Short lists were bound to follow this path. The firms who remain or regain their place are looking at bigger chunks of business. Learn how to secure—and continually defend—your position on client short lists in the new BTI Brand Elite 2018: Client Perceptions of the Best-Branded Law Firms, available now. Top legal decision makers recommend 241 law firms, 19.7% fewer law firms for 2018, continuing a 3-year downtrend. The same decision makers recommended 345 law firms in 2015. Clients are facing more complex work. They largely have lost patience for any law firms who don’t relish this work or who can’t keep within budget and keep them in up-to-the-minute news. Learn exactly who is earning client recommendations—and why—and where you stand compared to everyone else in the new BTI Brand Elite 2018: Client Perceptions of the Best-Branded Law Firms, available now. Try as you might to manage, control, focus, and provide clarity—ultimately clients define your brand based on their experience with you. Law firm brands are volatile. Clients change their perceptions of law firms based on their direct and indirect experience. 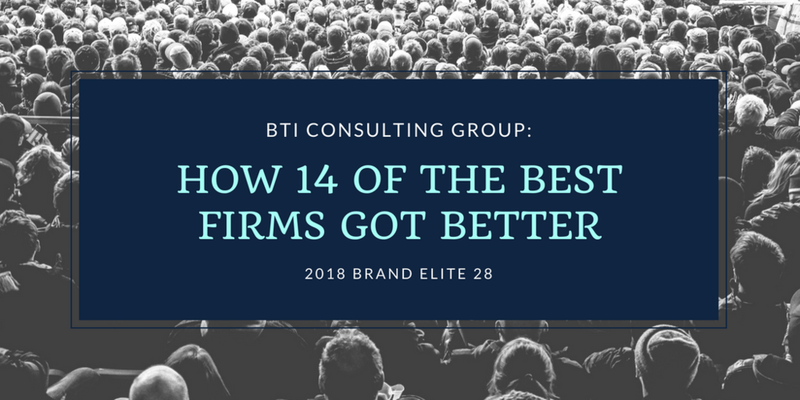 Despite this, or perhaps because of these changes—clients identify 4 new law firms as part of the 2018 BTI Brand Elite 28—the law firms with brands 7 times stronger than all other law firms. 14 firms within the BTI Brand Elite moved up—all edging for the number-one spot—because they will get the most inbound referrals. Akin Gump, Paul Hastings, and Paul, Weiss make their debut appearances in the BTI Brand Elite 28 while Mayer Brown returns after a brief absence. Clients note an increase in client service and innovation at Akin Gump, Paul Hastings and Paul, Weiss. Clients credit increasing innovation from Mayer Brown for the return to the BTI Brand Elite 28. Top legal decision makers rank Jones Day as the strongest brand for the 2nd year in a row. The world’s most demanding clients rank Jones Day as Best of the Best in all 9 branding attributes. The firm has been able to continue to improve its client service, innovation, and can be relied on for the truly bet-the-company work. This is not a random set of events. Improving on an already best-in-class performance demands vision, a plan, implementation, commitment, and the will. Brands are more volatile than most people give them credit for, resulting in lost deals and lower rates. 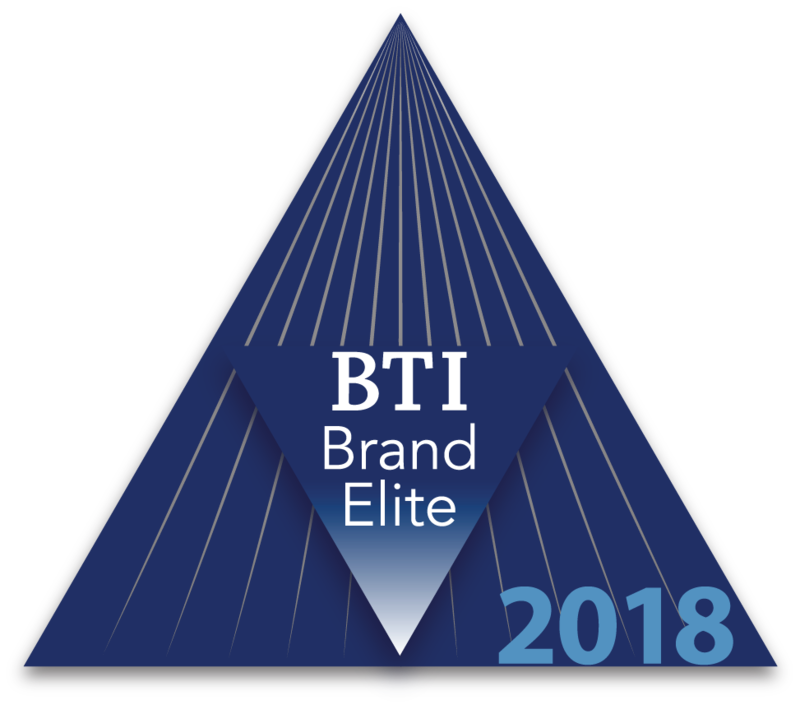 Despite this we are pleased to report half of the BTI Brand Elite 28 from 2017 moved up at least one place in 2018. The firms below demonstrated the behaviors behind the 9 factors driving brand hirability. Please congratulate the 28 law firms with the best brand according to the most demanding clients. You can learn about the detailed changes in your firm’s brand with your copy of the BTI Brand Elite 2018: Client Perceptions of the Best-Branded Law Firms, available now. Any change in client experience can easily change the brand. Some of these changes are strategic and intentional—others are the result of unintended branding events. BTI conducted more than 686 interviews with top legal decision makers to single out the law firms with the best and strongest brands. Each of the CLOs provided detailed answers and explanations—and have deep opinions about law firm brands.